Joe Christopher, who also owns Maine inns and a whitewater rafting company, hopes to reopen the pioneering pub business in Portland by March 1. The mystery of who bought Three Dollar Deweys has been solved. The new owner is Joe Christopher, who also owns Three Rivers Whitewater, a rafting company in the Somerset County plantation of West Forks. Christopher also acquired the lease at 241 Commercial St. and plans to reopen the pub business by March 1. Deweys was founded by Alan D. Eames, who called himself a “beer anthropologist” and wrote a number of books about beer. In his obituary, The New York Times described him as “the Indiana Jones of beer” because he traveled the globe searching for new or unfamiliar brews to bring back to Portland. 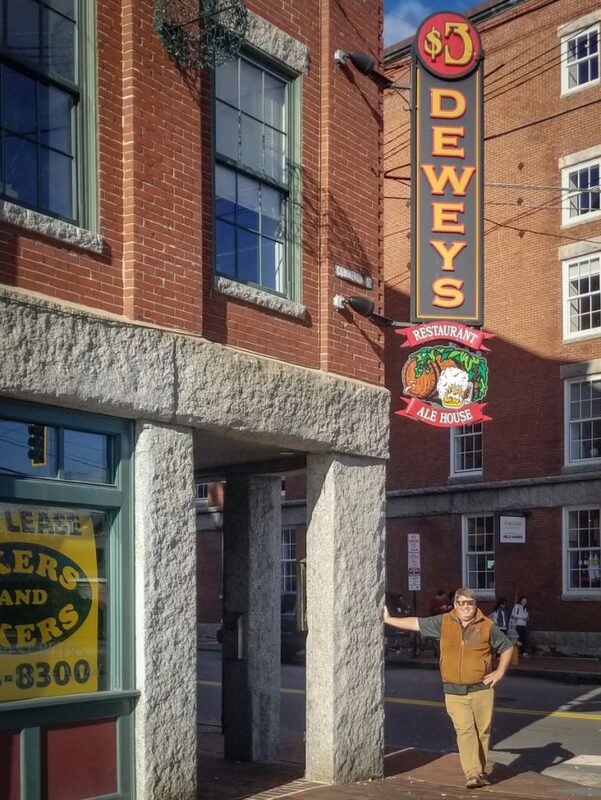 Portland residents first heard that the pub, which closed at the end of July, might be resurrected when signs appeared in the windows Tuesday saying that Deweys was “returning soon” and that renovations were underway. Christopher said the renovations will include new bathrooms and floors. The new Deweys will also feature live entertainment, he said. Christopher founded Three Rivers, which he calls “The Home of Serious Fun,” in 1997. He also owns the Inn by the River at The Forks and the Sugarloaf Inn, which he acquired in 2017. “It’s definitely my life’s work, the ‘home of serious fun’ type of stuff,” he said. Christopher said he wants to bring the same aesthetic to the new Deweys. And yes, he says, there will still be free popcorn.